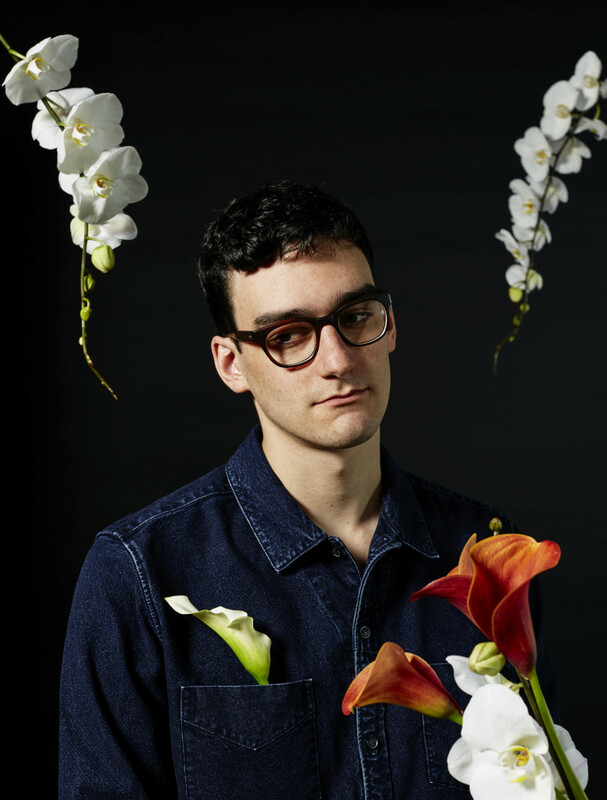 One afternoon two years ago, Danny L Harle composed a song to play in his DJ set; a huge fan of 1990s dance tracks such as Haddaway’s What Is Love and Corona’s Rhythm Is A Dancer, he wanted a song of his own to play alongside them. The result was Broken Flowers: both a paean to the past, and the sound of something modern. Now Broken Flowers is reappearing, lightly polished, to head up Harle’s new EP, a statement of intent from the London-born 25-year old composer and producer. The new EP is one of the first full releases under the PC Music label deal recently struck with Columbia Records. Harle has long been affiliated to the label and works regularly with his friend Alex ‘A. G.’ Cook, PC Music’s founder. For Harle, Pop is the genre which “makes so much sense” in this day and age, more than any other he has worked in. It’s been a meandering journey up to this conclusion. His first musical instrument was the slap bass: this set him on a path taking in funk jams, eventually playing on dinner cruises; then getting into experimental jazz; before embarking on a degree in music at Goldsmiths. Danny L Harle’s performance is supported by SHAPE.